Canon’s much-anticipated, long-rumored and at this point very leaked full-frame mirrorless camera is finally here. 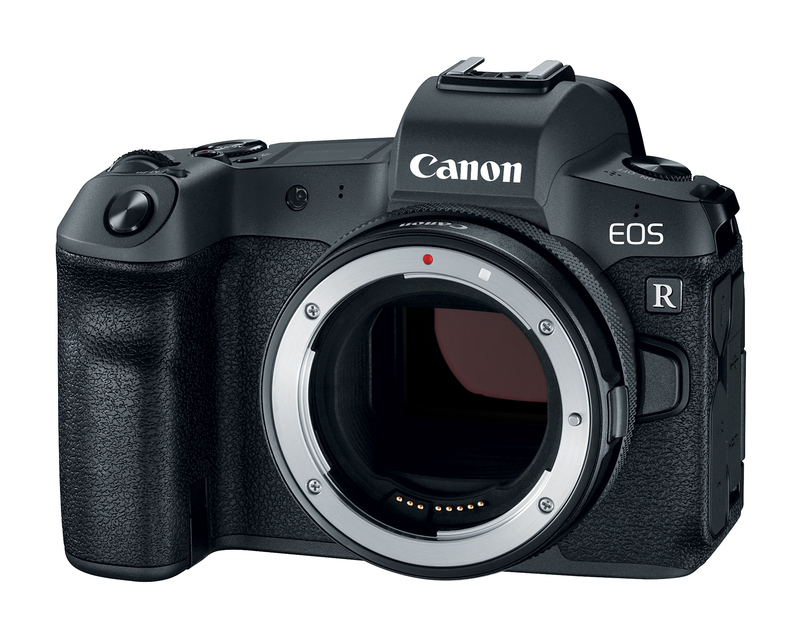 The Canon EOS R debuts a brand new ‘RF’ mount and a 30MP CMOS sensor, with Dual Pixel CMOS autofocus and 4K video. 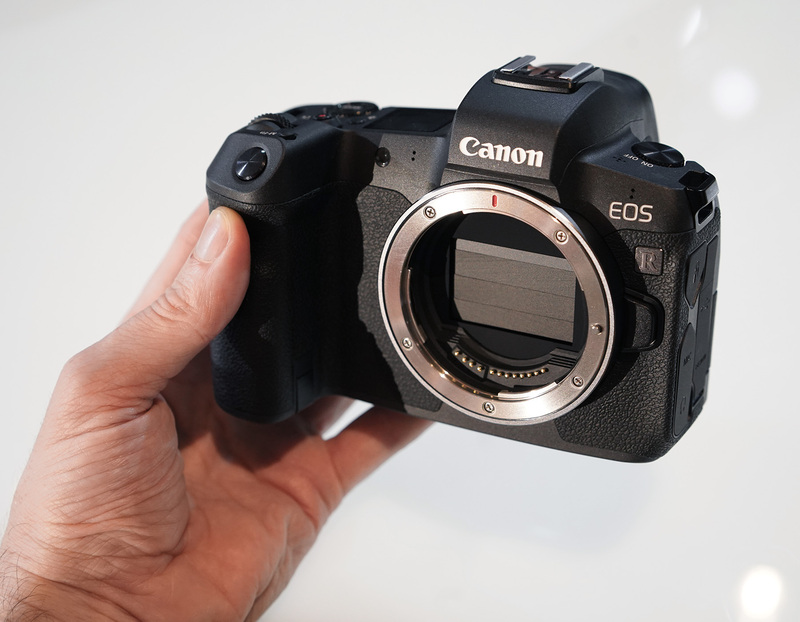 Despite Canon’s claims that the EOS R is ‘the internals of an EOS 5D IV in a smaller body’, the EOS R is not exactly the mirrorless EOS 5D IV that a lot of people were predicting (and hoping for) but it’s not the mirrorless Rebel that some cynics were predicting, either. If anything, it’s more like a slightly evolved mirrorless 6D II and – spiritually at least – it appears to have a lot in common with a much, much older camera. With the dust only just settling after the recent launch of Nikon’s Z7, what should you take away from Canon’s latest ILC? Click through this article for some initial thoughts, and a closer look at the EOS R’s key features. Arguably the most important single component of any digital camera, and even more important in a mirrorless ILC, is the sensor. 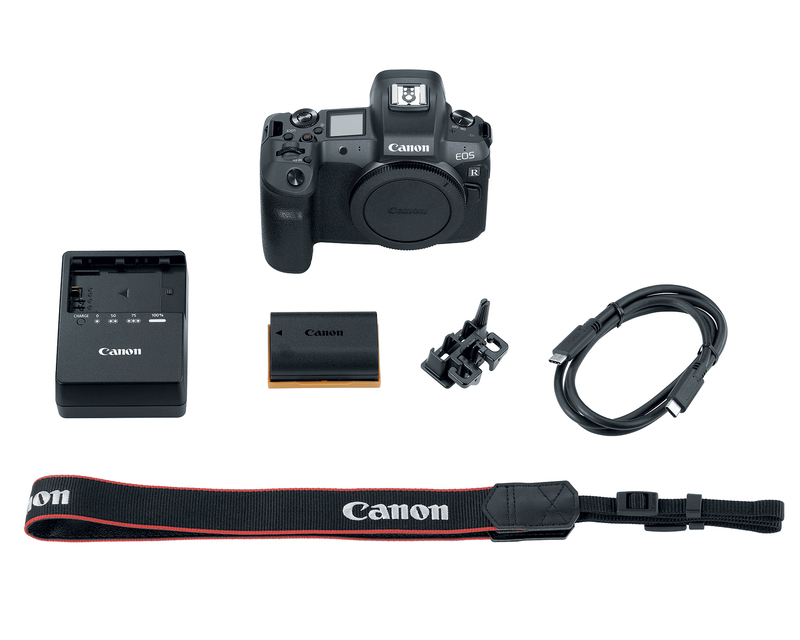 The Canon EOS R uses a 30MP full-frame CMOS chip with a low-pass filter which produces images with the exact same output dimensions as – and may in fact be a close relative of – the sensor used in the 5D Mark IV. The sensor is paired with an Digic 8 processor. Assuming we’re right about the sensor being closely related to the one in the EOS 5D IV (pending lab testing), it’s not a bad thing. 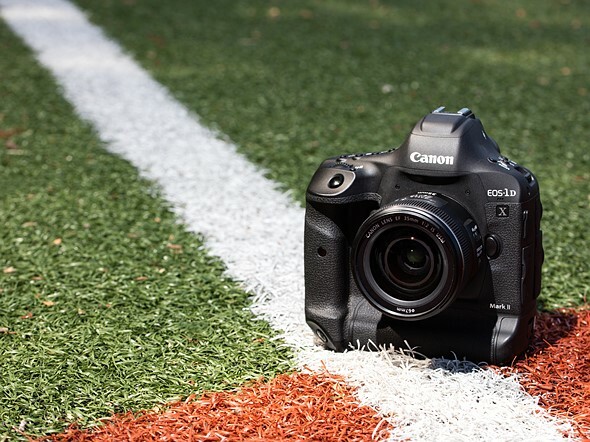 The 5D IV’s sensor isn’t up there with the best full-frame sensors on the market when it comes to either resolution or dynamic range, but it’s better than the 26MP sensor in the 6D II and it’s arguably the best all-round sensor in Canon’s inventory (the 5DS/R offer higher resolution but lower dynamic range and the EOS-1D X Mark II trades resolution for speed and sensitivity). 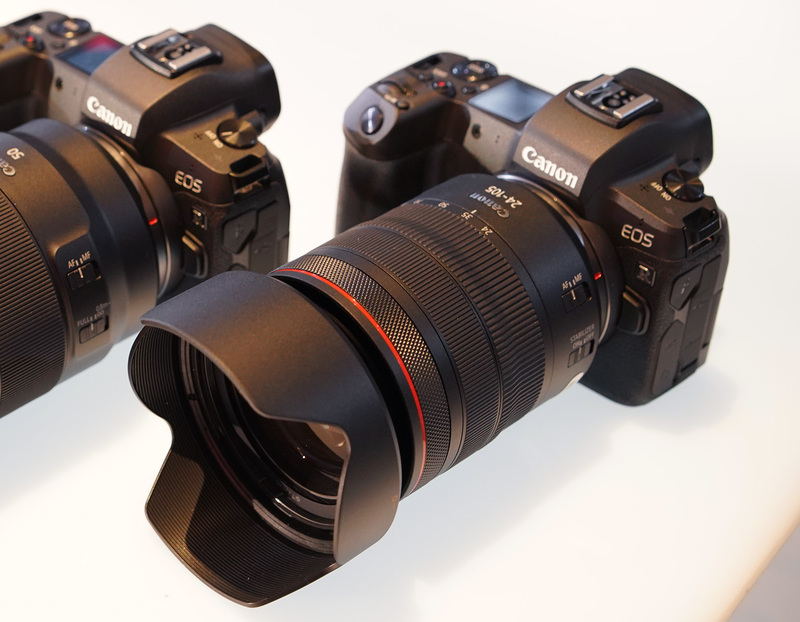 The EOS R’s standard ISO sensitivity range of 100-40,000 is very similar to the 5D IV’s, too, the two cameras offer the same absolute maximum ISO sensitivity of ISO 102,400. The EOS R offers Dual Pixel RAW, plus Canon’s 14-bit CRW Raw format as well as the relatively new C-Raw, which provides full resolution but much smaller file sizes. The Canon EOS R debuts a brand new lens mount – Canon’s fourth ‘full-frame’ mount, if you include the long since retired manual focus FL/D and R. The transition from FD to the totally new (and totally incompatible) electronic EF mount in the late 1980s was quite a jolt for some long-time Canon shooters, but EF to RF looks like it’ll be considerably smoother. Like the 30+ year-old EF mount, the RF mount is based around a throat diameter of 54mm but with a much shorter flange-back distance of 20mm (compared to 44mm). 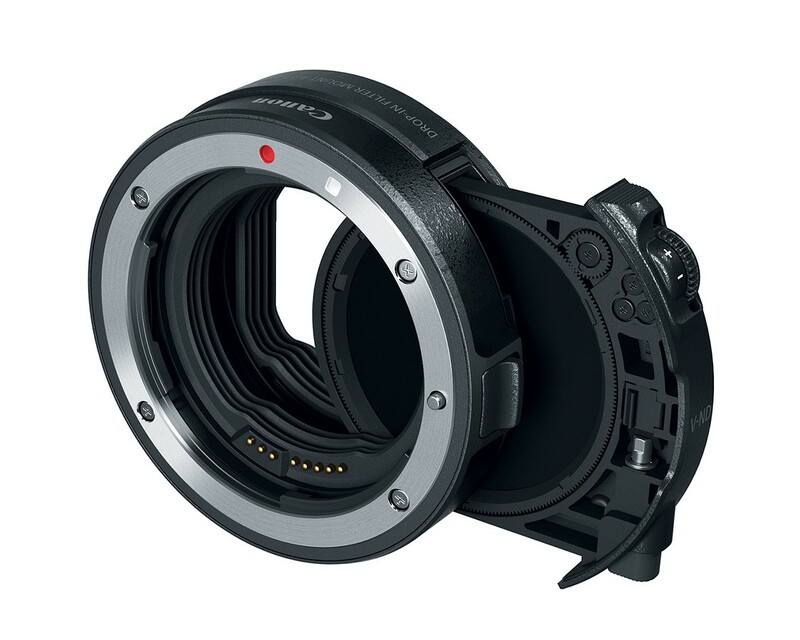 This is compared to 46mm and 18mm for EF-M, and the longer flange-back distance of the full-frame RF standard would appear to make Canon’s two mirrorless mounts incompatible with (i.e., unadaptable to) one another. The lack of EF-M cross-compatibility is a bit surprising. It forecloses the possibility of anyone using EF-M lenses on a hypothetical future APS-C format EF-R camera, essentially closing off the much vaunted APS-C to full-frame ‘upgrade path’ for Canon’s mirrorless customers. Canon’s long-term interest in APS-C mirrorless has always looked a little shaky – could the EOS-M line be left to quietly die, in the same way as Nikon’s 1 system? We hope not. More likely in the short term (but still a bit odd, however you look at it) is that Canon will pitch its EF-M cameras as a solution for those photographers that want the convenience and size advantages of APS-C, with RF as a full-frame mirrorless system running (kinda, sorta,) in parallel. If nothing else, the simultaneous announcement of a 32mm F1.4 for the EOS M-series is an indication that Canon wants us (you) to know that it’s still taking EF-M somewhat seriously. On the other hand, converting EF lenses to the EF-R mount is easy, courtesy of no less than three adapters, all of which do basically the same thing. The most basic is a simple mount converter, with an additional two adapters which add an extra control ring, and a tray for drop-in filters, respectively (the latter is pictured above). These adapters allow EF and EF-S lenses to be used on the EOS R without limitation. Sadly, because of its relatively (for a mirrorless camera) deep flange-back, the RF mount will not be capable of accepting as many adapted third-party lenses as the super wide, super shallow Nikon Z mount. Neither Sony E nor Nikon Z-mount lenses will ever be an option for use on the EOS R or later cameras, for example. Canon’s continually-improving Dual Pixel CMOS autofocus has impressed us for years, and the system included in the EOS R is without doubt the most impressive iteration we’ve seen so far. Covering 100% of the frame vertically and around 88% horizontally, and rated down to -6EV (with an F1.2 lens) the EOS R’s autofocus chops are impressive. More importantly, the EOS R always focuses wide open, even in 5 fps bursts: this helps the AF system continue to function optimally in low light even if you’re shooting stopped down. While 5000+ selectable AF positions might look like overkill, we’re excited to see the difference it makes to precise tracking. That many on-sensor phase-detection AF points does represent an awful lot of data for the EOS R’s processor to move around, though. From our initial impressions, autofocus appears very accurate. Autofocus speed is good: focus is snappy and even in continuous AF the system is quick to refocus on moving subjects, as long as your lens is up to the task. What will probably slow you down more than the outright AF speeds, though, is the overall method for selecting your AF point or subject: you’ll have to drag your thumb around the touchscreen, and given the touchscreen’s laggy responsiveness, this will be an issue. There’s a ‘Pupil Detection’ mode to ensure eyes are in focus but this is only available in AF-S mode. Disappointingly, like all mirrorless systems so far, the EOS R does not offer flash AF assist when a compatible Speedlite is attached. Sadly, no current mirrorless camera can boast the ‘instant on’ experience of a good DSLR, and the EOS R is no different, with a startup time of 0.9sec. On the face of it, the Canon EOS R’s continuous shooting performance is fairly unremarkable, too. A maximum framerate of 8 fps with focus locked isn’t going to set the world on fire, and nor is 5fps with AF tracking or 3 fps in the higher-precision ‘tracking priority’ mode. Remember what we said earlier about all that data from so many Dual Pixel CMOS autofocus points stressing the R’s processor? To be fair, the general experience of taking pictures is really nice, with virtually no blackout between shots, and AF tracking seems to be very good at 3/5fps. But it doesn’t look like the EOS R will trouble the wallets of action photographers any time soon. While the EOS R isn’t exactly a speed demon, with a UHS-II card installed it does offer a halfway decent buffer of 100 JPEGs (large/fine) and 47 Raws. Our bet? There will be a speed-focused mirrorless EOS-1D type camera launched in time for the Tokyo olympics in 2020, alongside a similarly pro-oriented Nikon Z-mount competitor. Just like the Nikon Z series, the EOS R makes a lot of effort to accommodate existing DSLR shooters, with a dial layout and menu system that will be immediately familiar. 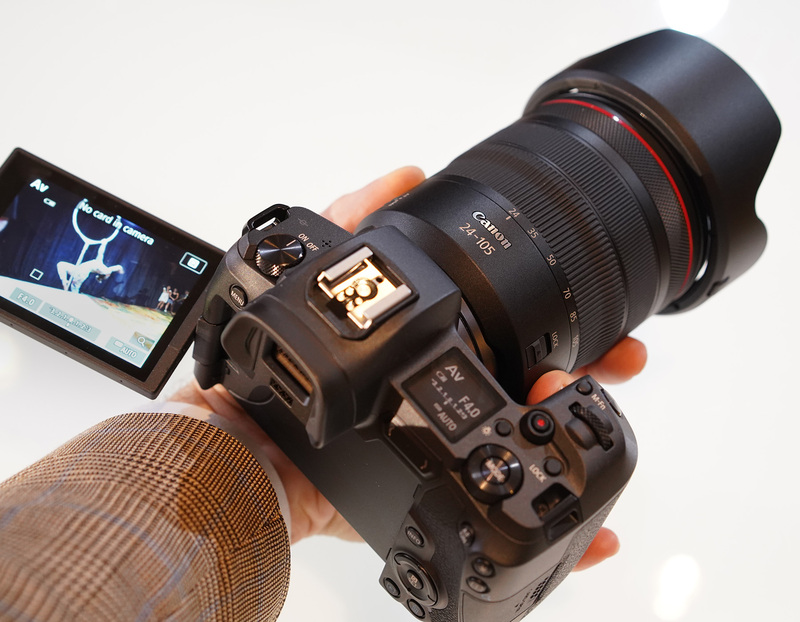 But, also like the Nikons, it also switches to using its maker’s live view AF system, user experience and nomenclature. This won’t be quite such a shock for Canon users, since the Dual Pixel DSLRs were pretty usable in live view mode (and, in the case of the EOS 80D, arguably better when used that way). But it still means it won’t be as easy to jump back and forth between shooting a Canon DSLR and using the EOS R as Canon likes to imply. This image shows the optional BG-E22 battery grip. The BG-E22 can hold two LP-E6N batteries, effectively doubling battery life. The build quality and grip shape are immediately impressive when you first pick up the EOS R. It’s built with a magnesium alloy shell over a magnesium alloy body and it has a real sense of quality to it. Changing exposure parameters feels immediate – like a DSLR. However, while the build feels premium, the lack of AF joystick hints at this model’s slightly more modest status. We’re also told the weather sealing is more 6D than 5D standard. Without an AF joystick, you’re pretty much required to depend on the touchscreen-based touchpad AF. This is pretty customizable, allowing you to choose ‘relative’ or ‘absolute’ positioning, and also limiting the active area of the touchscreen. But on the production-spec cameras we used, the touchscreen interface was laggy and rather slow to use, which makes the camera as a whole slower to operate. The touchscreen can also feel laggy in playback mode. But that’s not the only thing that feels laggy about the camera: as the EOS R is writing to the card, some camera functions, like switching to playback mode, can feel very slow to operate. One interesting first for a mirrorless camera is that the EOS R closes its mechanical shutter when the camera is turned off, perhaps to reduce the risk of dust on the sensor. Canon recommends always turning off the camera when changing lenses, as a consequence. We’ve always been told that the glass cover is much stronger and harder to damage than the delicate mechanical shutter blades, which makes this an interesting decision. The camera also stops its lens down on shut-down and shows a warning not to leave it pointing at the sun with a lens cap off, presumably to avoid warping the shutter with the lens-concentrated rays of the sun. With the EOS R, Canon is continuing its long tradition of putting image stabilization into selected lenses, not its cameras. The normally stated logic is sound – better tailor an I.S. system for the specific demands of a particular lens than go with a ‘one size fits all’ in-body system which inevitably adds bulk to the camera. It’s a fair argument, but Sony’s A7/A9 bodies and Nikon’s new Z6 and Z7 do offer in-body stabilization, it works, and it is very useful for video and stills alike. 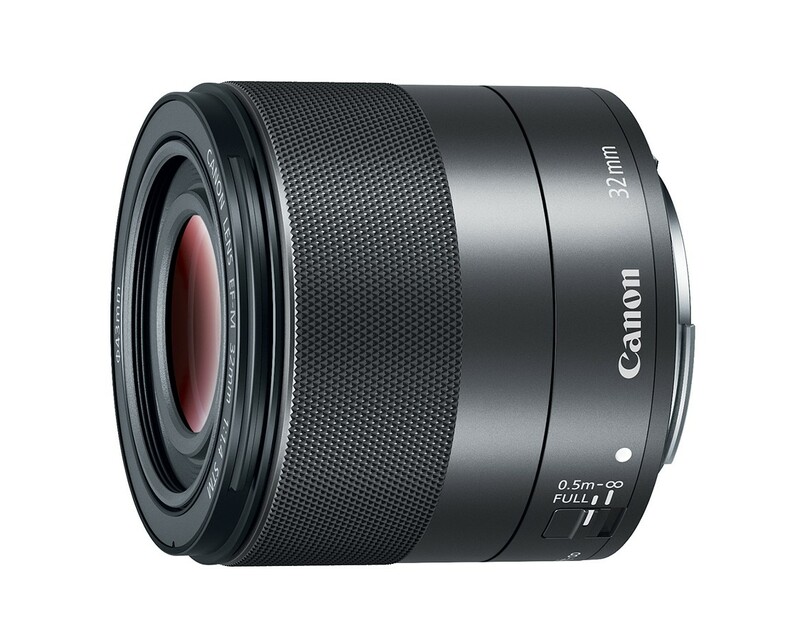 The new Canon RF 28-70mm F2 for example may turn out to be a great lens, but since it lacks an in-built I.S. element, it’s completely unstabilized on the EOS R. Sure, the R offers digital ‘5-axis’ stabilization in video mode, but it’s no substitute for an optical-mechanical system. And if there’s one thing we learned from recent reaction to the Nikon Z7 it’s that only one card slot means EVERYTHING IS TERRIBLE AND WE’RE ALL GOING TO DIEEEEEEEEEEE! If you, or anyone you know has been affected by the inclusion of a single card slot in a digital camera, we want to hear from you. Asking for help is the first step. The EOS R’s viewfinder is built around an OLED panel with a resolution equivalent to 3.69 million-dots, and a magnification of approximately 0.76X. Coverage, as we’d expect from a modern EVF, is 100% of the image area. The EOS R’s viewfinder is really nice, offering a comparable (if not quite equal) clarity and perceptual resolution to the excellent (and similarly spec’d) finder in Nikon’s Z7 and Z6. It’s slightly smaller though, compared to the 0.8X finder magnification of the Nikon models. The EOS R’s rear LCD also looks very nice indeed, offering a resolution of 2.1 million dots, with touch sensitivity. In terms of resolution this almost (but not quite) matches the benchmark panels on the back of the Nikon D500/850/D5 and should look crisper than the 1.6 million-dot LCD on the back of the EOS 5D IV. The screen is fully articulated, rotating around a hinge on the left-hand side of the camera’s rear plate. 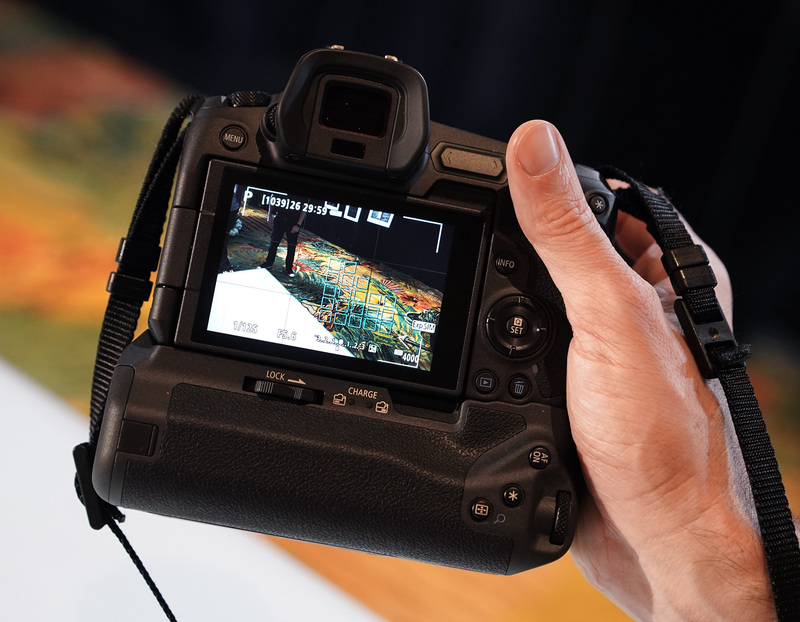 The well-integrated on-sensor PDAF system and sharp, articulating rear LCD make the EOS 6D II great fun to use in live view mode, and the EOS R looks like it will be be similarly enjoyable. 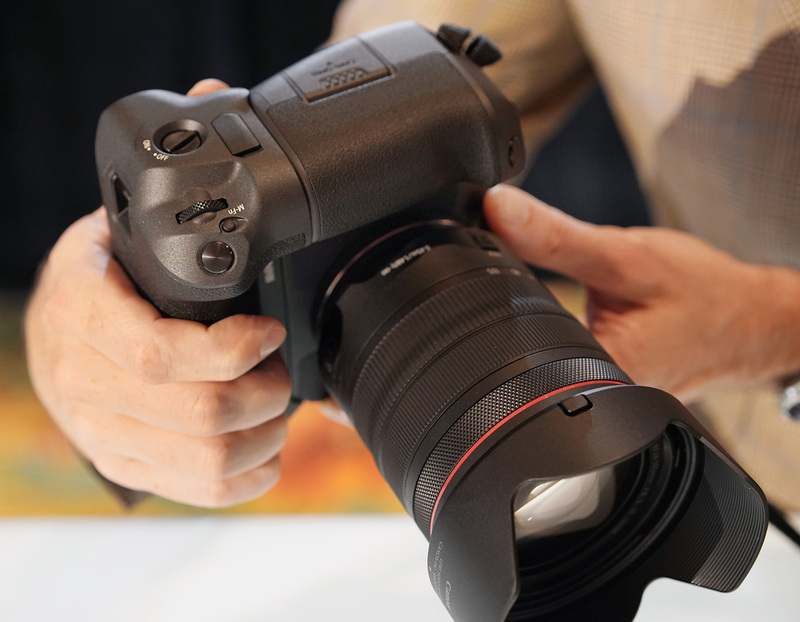 The Canon EOS R uses the same LP-E6-pattern battery that has powered more than ten of the company’s DSLRs, and the (included) ‘N’ variant will support in-camera charging, via the PD-E1 power adapter over USB C. The company recommends only using its own adapter. The EOS R’s CIPA rating for battery life ranges from 330 to 560 shots per full charge, depending on shooting conditions. For reference, that compares to 850-900 shots from the 5D Mark IV. The lowest rating is derived from mostly viewfinder shooting at 32 degrees F / (zero degrees C), and the highest rating refers to composing images on the rear screen, at room temperature, with ‘Eco mode’ activated. With a boring old LP-E6 (not the newer ‘N’) battery life should be about 5% lower. However you end up shooting with the EOS R, CIPA rated battery life for hybrid mirrorless cameras should be taken with a very large pinch of salt. 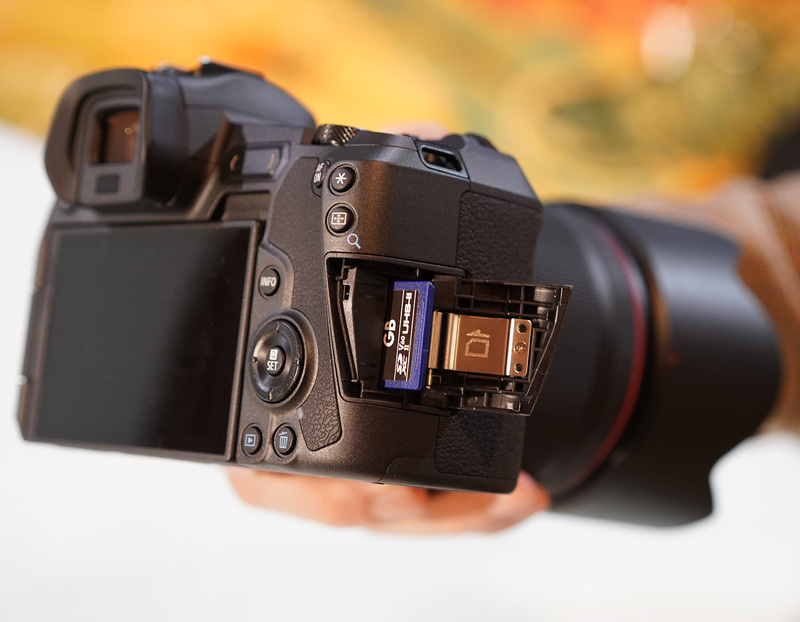 In a single shooting session, we’ve managed more than 5X the CIPA rated number of exposures from a single charge of the new Nikon Z7’s battery, for example – a camera that has been roundly trashed on our forums by people who have never used it for its poor battery life. That’s not to say that CIPA ratings aren’t useful for comparison – any way you look at it, the EOS R won’t have anything like the endurance of Sony’s a7 III, for example. The Canon EOS R can of course shoot video as well as stills, at a maximum resolution of 3840 x 2160 pixels (that’s 4K UHD) at 30p. 24p 4K is also available, as well as HD at up to 60p, with a high-speed 120p option available at a reduced resolution of 720p. At its absolute highest quality setting, the EOS R is capable of a maximum bitrate of 480 Mbps, which works out to about 8 minutes of recording on a 32GB card before you’re out of space (and you’ll need it to be a V60-rated card). That’s about the same as the EOS 5D Mark IV and compares to a maximum bitrate for internal recording of 100Mbps from the Nikon Z7. We’re not necessarily expecting video from the R to be more than four times better than footage captured on the Z7, and in fact the option to shoot at lower bitrates using the more efficient H.264 (rather than being locked to Motion JPEG, as in the 5D IV) is actually more useful. The EOS R gains the ability to capture C-Log footage internally (as 8-bit 4:2:0 MP4 files) or stream 10-bit 4:2:2 C-Log over HDMI. This is a positive step. Sadly however, video performance doesn’t appear to live up to these specs: 4K is limited to a maximum of 30 frames per second, and exhibits significant rolling shutter, from what we’ve seen so far. 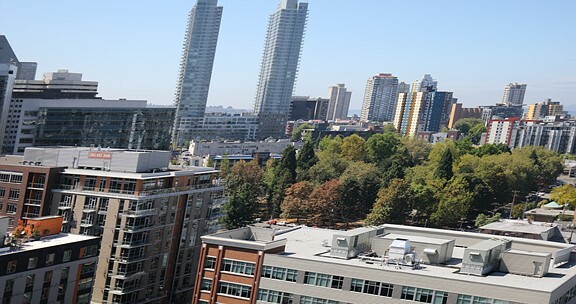 The image above is a still frame from a 4K 30p whip-pan using the EOS 5D IV showing how severe the so-called ‘jello effect’ can be. The EOS R also imposes the same ~1.7x crop that we saw on the 5D IV, essentially reducing it to a sub-APS-C camera in 4K mode. 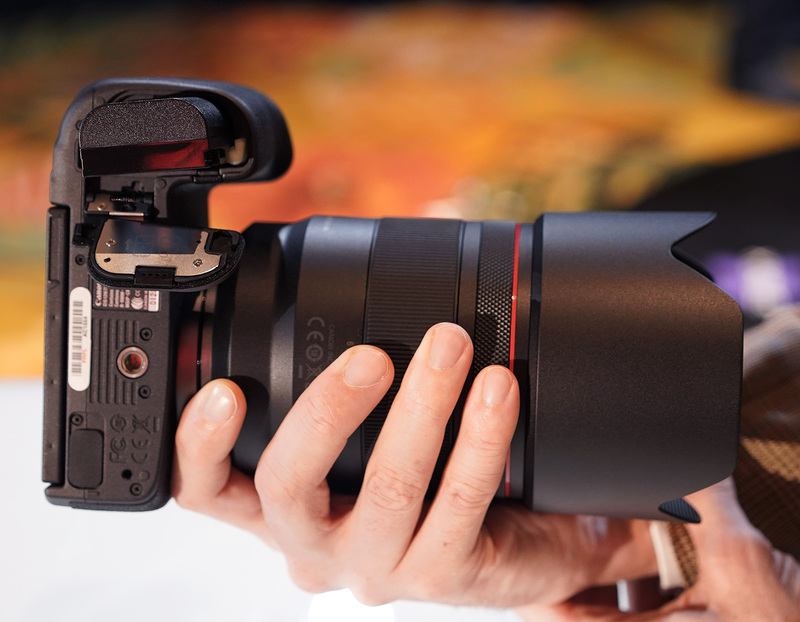 Yes, that’s right – the EOS R is unique among current 4K-capable full-frame mirrorless cameras in not offering full-width video capture in its highest resolution video mode. If you’re a stills-focused photographer, this probably won’t bother you, but it’s still disappointing that Canon hasn’t invested more in the video features of the R. For a company with such a long history of disrupting the video market, we had hoped for more. Maybe next time? On the plus side, though, there’s the highly usable Dual Pixel CMOS AF system which, combined with a full flip-out touchscreen and the ability to use EF-S lenses, means the R could be quite an effective camera for vlogging. 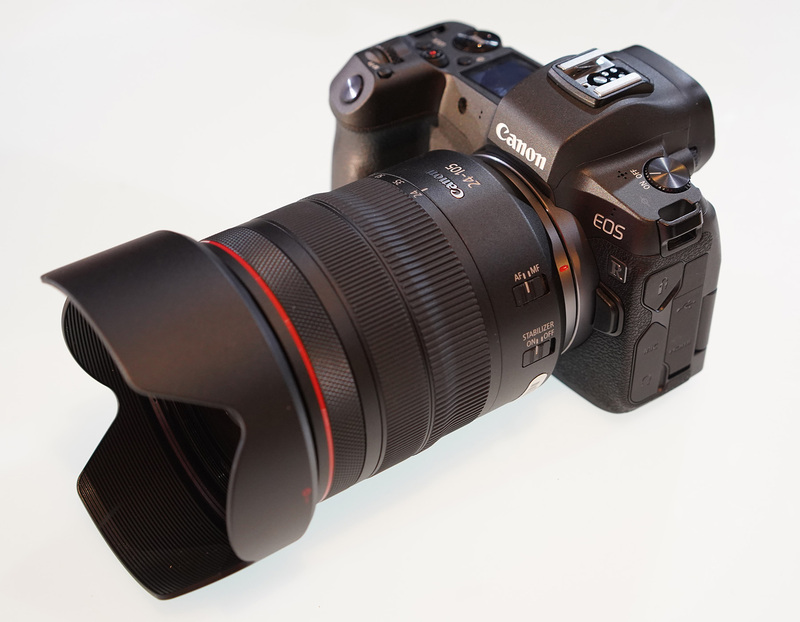 In terms of its operational design, the EOS R is a mixture of the old and the new. The venerable top control dial (which dates back more than 30 years to the film-era T90) is still right where it’s always been, on the top of the grip just behind the shutter button, but the traditional EOS rear dial has been relocated to the camera’s top right shoulder. A PowerShot style 4-way controller takes its place to the right of the LCD on the rear of the camera. There is no dedicated AF joystick, and no traditional PASM dial. Instead, exposure modes are cycled via the ‘Mode’ button at the center of the rearmost control dial to the right of the top-plate LCD. 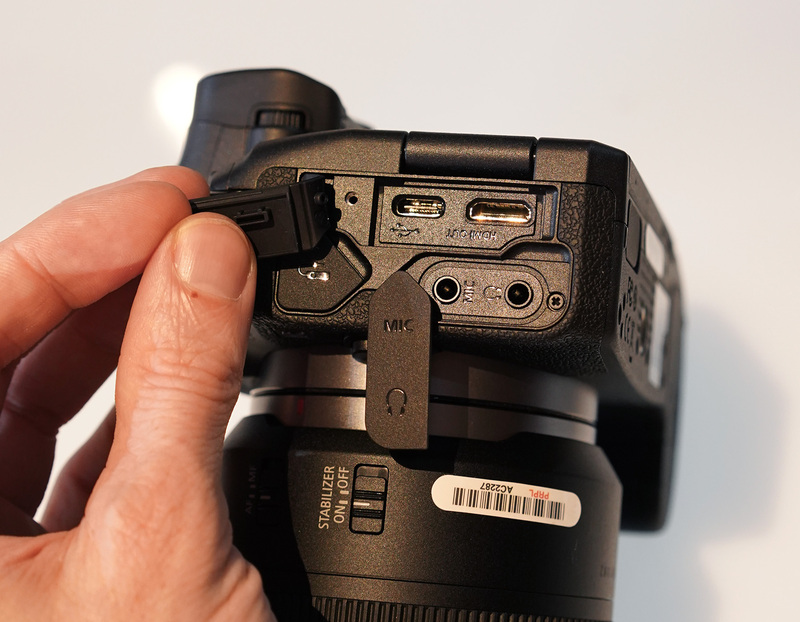 To the left of the EOS R’s viewfinder you’ll see an on/off switch cunningly disguised as another control dial (an unwelcome throwback to the original EOS M), and to the right you’ll notice a brand new control point, which Canon is calling the ‘M-Fn bar’. Several functions can be assigned to this touch-sensitive bar, depending on what you want to do, and how you want to interact with it. You can touch one side or the other, press the entire bar at its center, or swipe from left to right or right to left. In this way, the bar can be used to set a range of functions during shooting, ranging from ISO sensitivity to display info. In playback mode it can be used as a function shortcut or to ‘jump’ between ranges of images in a sequence. 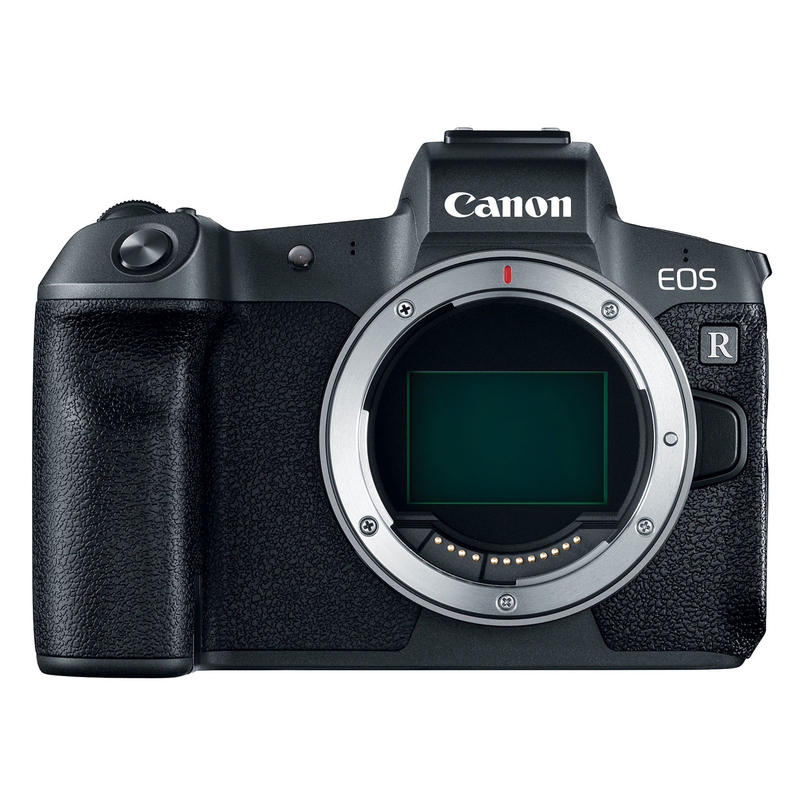 So the EOS R isn’t the mirrorless 5D IV that some people were hoping for (except in video mode…), much less the mirrorless EOS-1D X Mark II that others were bravely predicting, but even so, dismissing the R would be a mistake. As a company, Canon remains very conservative in many respects, while being quietly groundbreaking in others. Dual Pixel CMOS AF was always going to be at the heart of any canon full-frame mirrorless camera, for example, and the version that Canon has included in the EOS R appears to be significantly evolved compared to its earliest iterations. We always knew that Canon would enter the mirrorless full-frame mirrorless market eventually, but not until it was ready – and certainly not in a way that would risk either killing sales of its hugely popular DSLRs or spooking the heavily-invested professionals that make up such an influential and valuable (albeit numerically comparatively small) portion of its customer base. 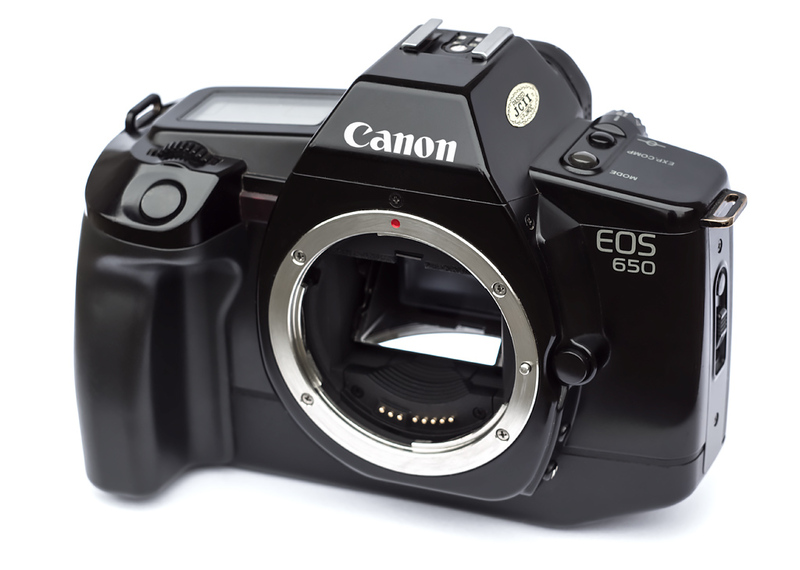 The original EOS 650, which debuted the EF mount in 1987. In terms of specification, the 650 was a fairly pedestrian camera, but groundbreaking nonetheless. Picture: Szczery, via Wikipedia Commons. The EOS R is the natural product of that philosophy. In fact, it reminds me a lot of the original EOS 650, Canon’s first EF-mount SLR and a fairly ‘meh’ camera even by the standards of 1987, but one which nonetheless ushered in a sea-change in Canon’s optical and mechanical design. Despite its unassuming specification, the EOS 650 and its subsequent sister models rang the changes for the entire photography industry for many, many years afterwards. 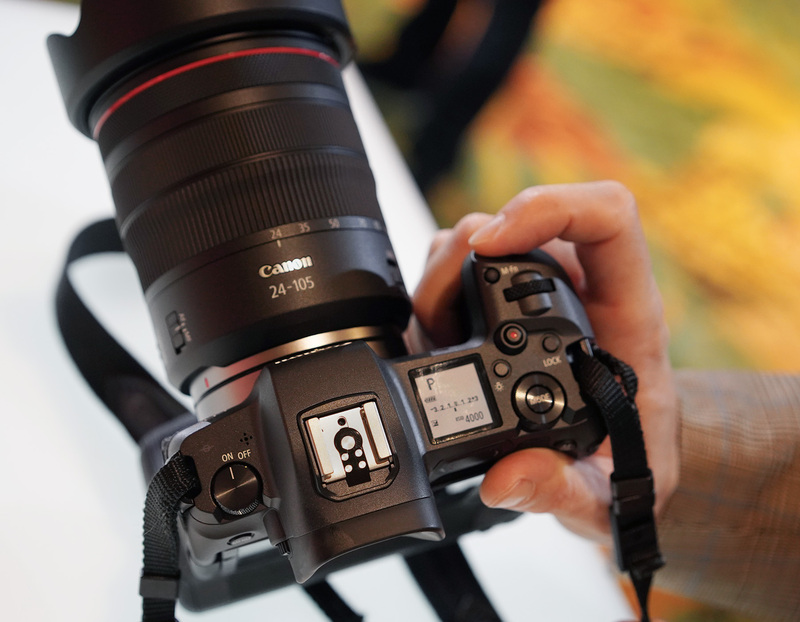 Canon is very rarely first to market with new technologies – a point made by executives at the EOS R’s official launch. Historically it’s not been so much a matter of when, but how the company enters the market that has proved impactful. The EOS R isn’t a particularly exciting camera – especially for videographers – but as a statement of intent it is highly significant. For now, the most interesting thing about the launch of the RF system is the new mount, and the co-announced native lenses. Even if you’re not particularly inspired by the R, it’s worth looking back to those early EOS models of yesteryear and pondering what might be coming next. The new 28-70mm f2 looks like it could be one hell of a lens, but Canon probably doesn’t expect it to be bought by EOS R users. It’s more than twice the weight of the R, for one thing. More likely it’s intended to be used by purchasers of a future RF-mount camera, one more geared towards the needs of advanced enthusiasts and professionals. For now, the EOS R is pretty much what we expected it would be. It’s not the final product of Canon’s mirrorless ambitions, it’s a start.